Exciting news, Marvel fans! Following posters of Black Widow and Falcon, the studio has unveiled a new poster of your favorite all-American hero, and he's looking quite ... heroic. The stars and stripes have returned, and Cap is looking rather determined to defeat whatever dangers he might face in 'Captain America: The Winter Soldier,' and we've got a high-res version of the new poster for your viewing pleasure. Marvel and Disney unveiled the new poster on their Facebook page today, along with the tease, "Hey, Cap fans - check back soon for an exciting announcement!" We're not sure what that exciting announcement could be, but we're hoping for a new trailer -- fingers crossed! The latest poster, which you can view in high-res format by clicking the image below, features our favorite hero, front and center, with his trusty shield. Chris Evans reprises the role of Captain America in the upcoming sequel, co-starring Scarlett Johansson as Black Widow, Anthony Mackie as Falcon, Samuel L. Jackson as Nick Fury, and Robert Redford, Sebastian Stan, Cobie Smulders, Frank Grillo, Hayley Atwell, and Toby Jones. In the new film, Cap will have to face down his old pal Bucky Barnes, who has been reborn as the villain the Winter Soldier while also acclimating to the modern world -- but he won't be alone as he'll be joined by several familiar faces and friends. 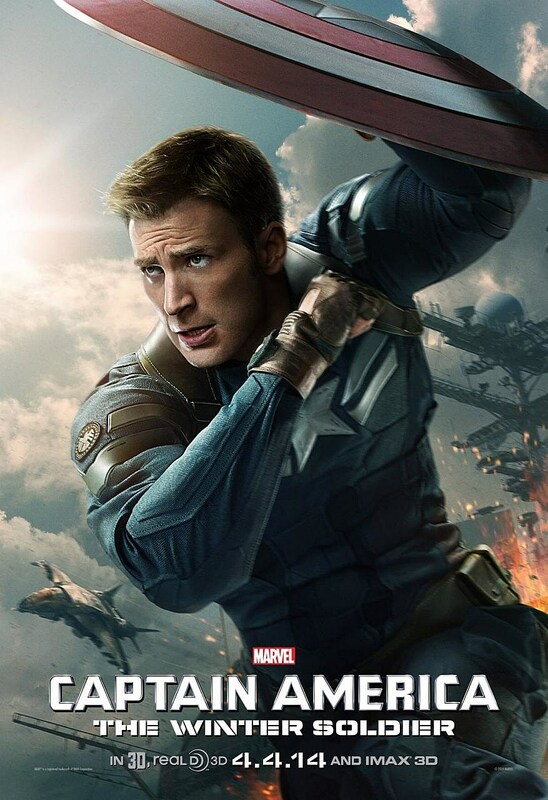 'Captain America: The Winter Soldier' hits theaters on March 26.